Such a stylish jacket! 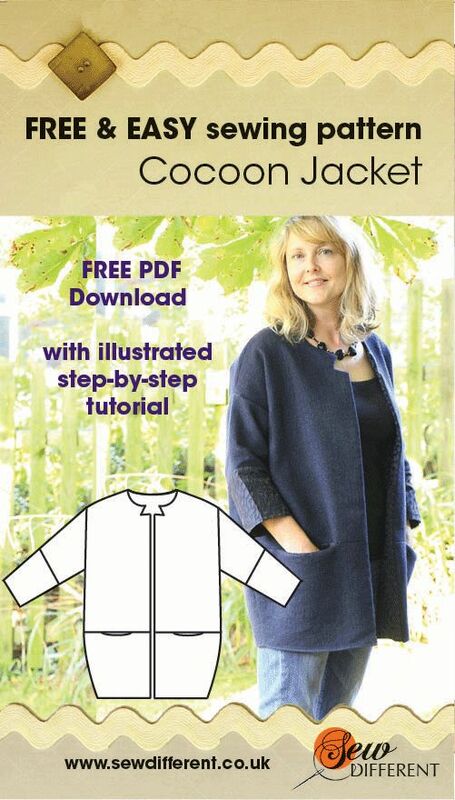 This jacket is a simple shape but with a lot of subtle details such as the oversize cuffs with a contrasting texture and the notches around the neckline which stop it looking too boxy. The front panels are lined so you get flashes of the inside fabric too. Find the pattern for this beautiful jacket here.